If you want to broaden your company’s online visibility and increase your Return On Investment (ROI), choosing our PPC campaign will pave the way to reach the right audience, improve your brand identity, and of course, get tangible ROI. 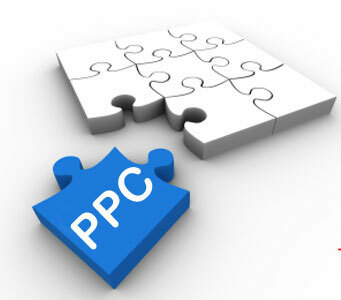 Achieving success in your PPC campaign project can be quite a difficult task and will require careful management which will be carried out by our experienced and professional PPC managers. Here, at Steven Lloyd Consulting, we track your campaign’s progress real-time so we can make the necessary adjustments to improve the overall process. Our experienced and talented campaign managers will be focusing solely on the success of your campaign – from strategic marketing planning, keyword research, down to gathering the results. We make sure that everything is done to improve your campaign. As your partner in your company’s growth, we value transparency above others. Our professional managers will give you detailed and real-time reports of how the campaign is doing and how your fees are getting results. We want you to know about the strategy we are using for your campaign and the adjustments that we do to improve the overall performance. We want you to be involved every step of the way. Successful PPC campaigns not only require strategic planning, but it also involves careful decision-making, data analysis, and experience. Our professionals take pride in our vast array of skills that make us flexible to work with companies from various industries. We carefully craft our solutions to meet your unique needs. We have worked with various companies who have gained favorable results from our successful PPC campaign management services. We value your opinions, and we want you to be with us in every step of the way as we aid in growing your company. So if you are ready to get more quality sales leads, get your ROI, improve your brand identity, and eventually grow your business, our experienced PPC managers are willing to work with you. Book an appointment with our specialists today!